Here's another one of those autocratic methods bound to confuse parents since it has some good ideas mixed up with some bad ones. There are three types of parents: the Helicopter parent, the Drill Sergeant parent, and Consultant parent, with the latter type considered as the Love and Logic type: parents who give thoughtful guidance and impose firm, enforceable limits. Impose is the key word. With Love and Logic, unfortunately, the parents are in control, dictating what they will and won't do and what they will allow and what they will not allow, setting limits, and enforcing (either x or y). The positive aspects of this parenting method are the way they handle problem ownership, using empathy to help children learn from the consequences of their behavior, encouraging instead of praising, encouraging children to think for themselves by giving choices, and logical consequences use. A logical consequence is good if it uses only the minimal amount of power needed, and there is a direct cause-and-effect relationship between two events the child can easily understand and feels is fair—ideally the child problem-solves with the parent and they come up with the logical consequence together or in a family meeting, but that is not too likely in this parenting method. Giving choices is a benefit to this process. Learning is the point, not punishment. It's logical for a kid to earn money to pay for something he broke. It's not punishment. It's connected, fair, and logical. Here's an incorrect discipline approach many parenting methods use: time-outs as methods of discipline when children "misbehave." Cline and Fay utilize this punitive measure, but, on the other hand, they realize the importance of children having positive self-concepts, which is good. But why didn't they employ positive self-talk methods to reinforce this idea? Note: Punitive measures like time-outs rely on parental, autocratic power. Parents are in control in this Love and Logic parenting method so it overdevelops kids' approval orientation way beyond what is necessary or appropriate. It is normal for inner-directed forces of the parentally caused superego-conscience to be part of children's inner experiences starting between 3 and 5 years of age. Kids need to learn self-control, and parental examples of parents' own self-control are not just examples to emulate but also examples to incorporate inductively as the kids' own. But too much approval seeking alienates kids from their own feelings at a time when they need encouragement for these feelings, not distractions from these feelings. Very young children need to be loved for who they are more than they need to be controlled. So the locus of control will be internal and it will create security in the kids as they learn self-control and feel at cause, IF love and feelings encouragement far outweigh parental attempts to control the kids. In a truly nurturing environment like with P.E.T., parents use influence, not control, and there is no use of parental power because relationships are democratic, not autocratic. So kids' need for superegos are very temporary—a quick crutch as autonomy develops and the kids become SELF-directed, and they feel at cause as well as be at cause. The unfair power dynamics in autocratic parenting slow down or even prevent autonomy development, which is why all autocratic parenting methods are to be avoided. Instead, use Authoritative and Democratic Parenting Programs. Authoritative parenting has been shown to be the best parenting style for encouraging autonomy, success, social skills, and an internal locus of control, since kid power is encouraged and empowered while parent power is not used to control kids, but to show good examples to emulate. On the other hand, when kids are controlled by parents in order to get obedience and compliance, as with the authoritarian parenting method Love and Logic, kids tend to get an external locus of control in which they not only feel at effect but begin to feel helpless and like the actions they perform are irrelevant and seem to be controlled by "fate" (in truth, fate is "parents" in disguise). The goal of Love and Logic discipline is to get kids to obey. Oops. 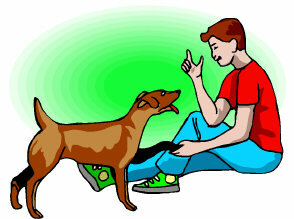 Perhaps parents that want creatures to obey them should purchase dogs and train them well as opposed to having children.